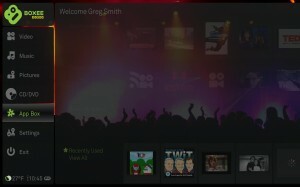 I now have Boxee Alpha (build 0.9.9.5324) for Windows installed. Below are a few screenshots that highlight some of the new additions. There is a new option on the left-side that says ‘App Box’. This replaces the old way to add repositories (applications people outside of Boxee have created) or remove content to make it less cluttered.